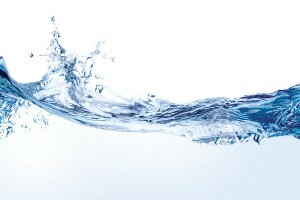 A point-of-entry (POE) home filtration system is one that treats most, if not all, of the water that enters a residence. POE water filtration systems are distinct from point-of-use (POU) systems, which are designed to treat/filter water strictly at the point of consumption, such as the kitchen faucet, refrigerator water dispenser, or shower head. Your typical POE water system can treat up to several thousands of gallons of water per day, and is outfitted with specially manufactured filter media that are effective at reducing waterborne contaminants and unwanted water supply additives. Second, NSF International recommends selecting a POE system that meets the official certification standards for whole house water filters. The applicable performance standards for residential POE filters are NSF/ANSI 42 and NSF/ANSI 53. Consumers are advised to ask for these certifications by name before they invest in a POE home filtration system. For more information on this topic, contact RainSoft – a leader of the residential water treatment industry since 1953. After performing a complimentary in-home water test, your local authorized RainSoft dealer will be happy to explain your options with regard to purchasing a point-of-entry home filtration system.